Natzchez on the bluff a century after the massacre when a different form of inhumanity was being practiced. There are places that stir the imagination and bring to mind all the human suffering and loss that one group of humans can inflict on another. The places are generally fortuitously located, and the groups are divided by race, or economic organization or class or positions of power. Just hearing the names evokes all the cross-purposes that people act under and reminds us how many things will cause one person to kill others, sometimes many others, in cold blood: Tiananmen Square, Sabra and Shatila, My Lai, Deir Yassin, Babi Yar, Katyn, Nanking, Wounded Knee, Washita, Peterloo, St. George’s Field and so on back through the mists of time. One place that is rarely recalled in these terms is Natchez, Mississippi. Today (Sunday, November 28, 2010) is the 281st anniversary of the massacre of a settlement of French colonists: 138 men, 35 women and 56 children. The colony was located on the Mississippi River, and the settlement was called Natchez, after the natives who destroyed them. The Natchez were aided by the Chickasaw. In those days it was the native killing of settlers that was called the massacre. The settlers’ destruction of the natives was generally not given a name. But we get ahead of the story. By the beginning of the eighteenth century, France claimed a large swath of North America down the center from Canada to the mouth of the Mississippi. It was named Louisiane after the Sun King by Robert de LaSalle, who made several ventures south from Canada and only explored the Mississippi basin on his last expedition. 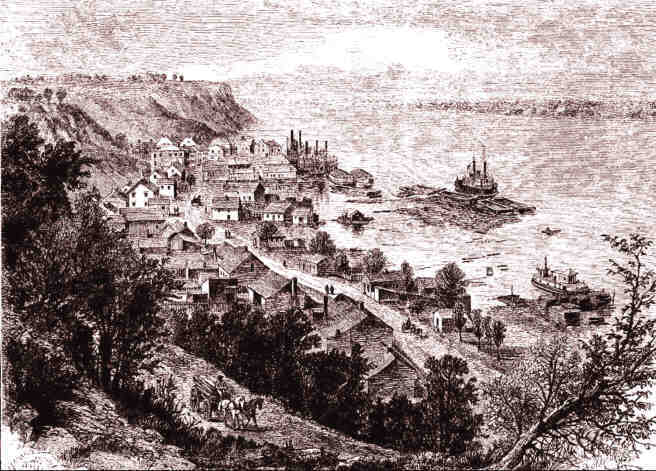 LaSalle returned to France determined to establish a settlement at the mouth of the Mississippi. The fleet he put together, however, was battered by weather and pirates. He couldn’t find the Mississippi on the Gulf coast and was eventuallly assassinated by one of the settlers. Iberville emerged as one of the heroes of the French campaign of fire and plunder; he claimed to have destroyed 36 English settlements. After destroying English fishing settlements in Canada, Iberville was anxious to prove his prowess in the subtropics, so he led an expedition that established Fort Maurepas in 1699 (now Ocean Springs, Mississippi, about 80 miles north of New Orleans). 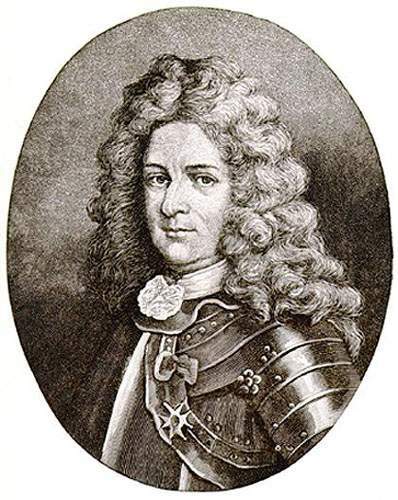 He then went off to more adventures against the English (this time in the West Indies) leaving his younger brother, Jean-Baptiste Le Moyne de Bienville, second in command to the governor De Sauvolle (possibly another brother of Iberville). While Iberville was away, Bienville had a threatening encounter with the English at what was thereafter called English Turn (now a planned community with a “Jack Nicklaus designed golf course”). On his return Iberville further secured the Mississippi with a fort 38 miles below New Orleans. Iberville was soon joined from the Upper Mississippi by the old and reliable de Tonti, who had fought the English, and before that explored with LaSalle. In fact de Tonti had come down the river to the mouth to welcome LaSalle with his settlers. 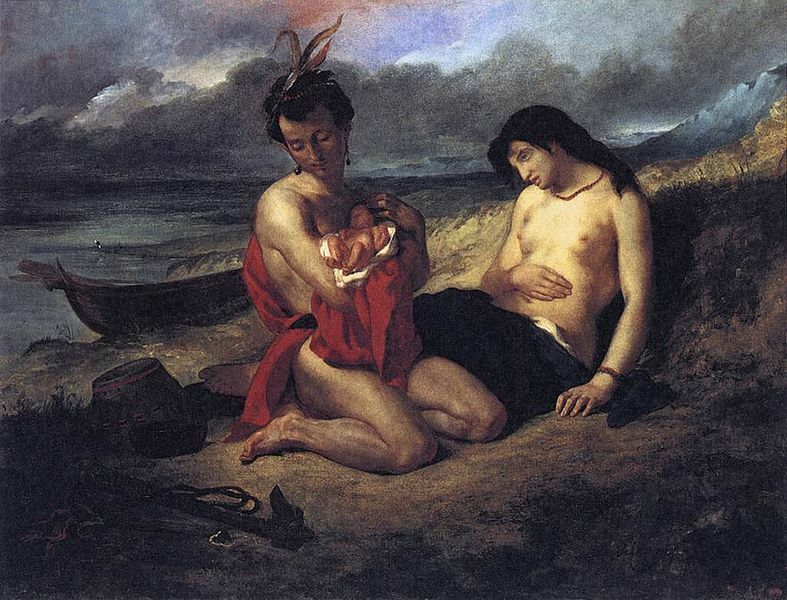 When LaSalle failed to arrive, he buried a message and returned north. Iberville, de Tonti and Bienville travelled up the river to scout and treat with the natives. Four hundred miles up the river Iberville encountered the Natchez. Iberville was impressed with the location; it had an elevated bluff that he thought appropriate for the capital of the province (although the fort at Natchez would not be built for another 16 years). He was also impressed with the Natchez themselves. Although the were then reduced to about 1,200 warriors owing to recent wars, they still seemed powerful and advanced. “In many particulars, the Natchez tribes differed, in the time of Iberville, from the neighboring tribes and nations, both in their appearance and in their mode of civilization. They exerted an extensive influence over the neighboring tribes, several of which were in alliance with them. Of all these allies, the Tensas were strongest in their resemblance, in their persons, their manners, and their religion. The Great Sun, having heard of Iberville’s party, came to meet him, carried on the shoulders of warriors with a numerous retinue in tow. Iberville concluded a treaty of peace and commerce and obtained permission to build a settlement at the bluff. Another war with England would postpone settlements on the Mississippi for many years. The War of Spanish Succession proved to be a long global war. In the northern part of North America the French and English again recruited their native allies. In the Gulf of Mexico the fleets battled each other. Iberville moved the French headquarters from the Mississippi to the banks of the Mobile River to cooperate with the Spanish settlement at Pensacola. Iberville. From Justin Winsor (ed. ), Narrative and Critical History of America: The English and French in North America 1689-1763 (Boston: Houghton, Mifflin & Co: 1887), Vol V, p 15. Famine and pestilence visited the colonists while the sovereigns sported at war. Privation from supply interdiction and tropical disease (called by them bilious fever, probably Yellow Fever) decimated the few families left on the Mississippi. Savoulle died, leaving the young Bienville in charge. Iberville contracted Yellow Fever in the West Indies and was forced to return to France. He tried to return to his command but later succumbed in Havana. Although the few French settlers were harassed by English settlers and Indians during the war, Versailles had them spread out to occupy as much territory as possible for the crown. The strategy of course made them more vulnerable. When a trading vessel finally came in 1709 with provisions and desire to trade, the settlers had nothing to barter with. Louisiane now had but 308 settlers distributed over 5 remote settlements on the Gulf coast. In 1711 its treasury depleted from wars, the French crown determined to reorganize Louisiane into a government separate from Canada and to require the settlers to produce their own sustenance as much as possible. Bienville, who became the governor-general (the crown’s first choice died en route), conceived that agriculture was better suited up the Mississippi than around Mobile. In France, wishful thinking and rumors of mineral wealth combined to create the impression that the economic woes of the kingdom could be remedied from this new colonial department. An exclusive charter for 15 years was granted for the entire territory–from the Allegheny Mountains to the Rockies; from the Gulf to Canada–to the king’s chief money-lender, Antoine Crozat, marquis du Châtel. By this charter and the commercial genius of Crozat, the French devoutly hoped to exploit this territory for its mineral wealth. The Spanish of course had transported galleon after galleon filled with gold and silver back to the homeland from the land they occupied to the South. By 1700 it was well known what this onslaught of wealth had done to Spain. A hundred years before, in 1603 a French traveller in Spain noted: “Everything is dear in Spain except silver.” The price inflation caused by the devaluation of the metal currency (as a result of vastly increased supply) ruined the class that had illiquid investments—the landholders. Since they were the backbone of feudal Spain, and because the apparent inexhaustible wealth from colonies disincentivized innovation, industry, and all other forms of wealth creation, it eventually lead to the economic prostration of Spain. Adam Smith would devote many pages to this phenomenon in his 1776 Wealth of Nations. So in the end the great financier Cruzot lost a large sum on his venture and recalled his governor. Bienville again became acting governor. Difficulties with the Natchez which resulted in some French deaths caused Bienville to visit Natchez in June 1716. After resolving the dispute, he ordered the erection of Fort Rosalie somewhat back from the bluff. The following year, the King accepted Cruzot’s surrender of the charter, and in August 1717 the territory became a Crown possession once again. Cruzot’s failure did nothing to dampen expectations in France that the territory could produce vast and easy wealth. The direction of the new scheme was handed over to John Law. Law was a Scottish gambler, with advanced views on macroeconomics and national finance, who had to escape England where he had been sentenced for the murder of a rival in a duel. Alfred Marshall called him a “reckless, and unbalanced, but most fascinating genius” (Money, Credit and Commerce (London: MacMillen & Co: 1923), p 41). His views on the establishment of a central bank were rejected in Scotland and then at first in France where he eventually settled. After the death of Louis XIV the economic situation of France soon proved intractable, however. Chronic shortage of species eventually caused the regent, Philippe d’Orléans, to resort to Law’s ideas; Law was appointed Controller General. He established his note-issuing Banque Général in 1716. The notes eased the pressure on money supply and permitted Law to institute other reforms (most of which were revoked after his downfall). Law’s career, especially as it regards his Mississippi adventure, was told in a popular account by Scottish poet, Charles Mackay as the first part of his Memoirs of Extraordinary Popular Delusions vol I (London: Richard Bentley: 1841). The financial disaster in Europe from the first great land bubble in North America–Law’s notorious Mississippi Bubble–deserves an essay itself, but its connection to our story relates only to the settlers it brought to the Mississippi. In 1717 Law became the director of Compagnie d’Occident (The Western Company or the Mississippi Company), which was vested with the exclusive trading privileges of Louisiana (and New France) for a period of 25 years. (In other respects its legal, but not economic, similarity to the highly profitable English East India Company would be pivotal in creating the exaggerated belief in its potential profit.) One of the obligations imposed on the company was to introduce into the territory 6,000 European settlers and 3,000 African slaves within its term. In the spring of 1718 the first ships arrived at Mobile with commercial officers, three companies of infantry and 69 settlers. Bienville was confirmed as governor. Bienville’s first step in his plan to settle the Mississippi Valley was to create a city near the mouth, which he named after the regent. The company officers refused to move to New Orleans and were unconvinced that the settlement of the Mississippi provided a better commercial opportunity than the precious ore they believed they would find. Eventually Bienville prevailed, and settlers began going up the river to settle. These settlers were soon to be menaced by the Spanish, whose growing settlements from Mexico had established posts in West Texas. By 1718 the Spanish were approaching the settlements on the Mississippi, establishing a mission as far east as what is now Natchitoches, Louisiana. That same year la Harpe came with settlers and soldiers and began erected a fort at Natchitoches, nine miles from the Spanish mission. In April 1719 he pushed further West until the Spanish issued a formal remonstration. By March 1719 the French and Spanish were in open hostilities. The main theatre was between Mobile and Pensacola. The French in the Mississippi Valley engaged the Missouri tribes on their behalf. The Spanish attempted to incite the Osages against them. A Spanish expedition from Santa Fé blundered into a camp of Missouri, mistaking them for Osage, and revealed their plans. That night the Spanish expedition was slaughtered while asleep in the belief they had accomplished their mission. The French were able to mobilize the soldiers and settlers that had been continually sent under Law’s direction, and they were able to secure the west until the war was over. Bienville had at first adhered to his principal of keeping settlements near the Mississippi, but was eventually prevailed upon to send la Harpe to take Colorado in 1721. The Mississippi Company’s practice of sending convicts as settlers was ended on petition of the directors, but the emptying of the hospitals and prisons of indigent females for transport continued without objection. Bienville’s plan of concentrating settlement up the Mississippi finally became policy. In 1723 New Orleans became the capital of the territory. The vindication evidently flattered Bienville’s exaggerated self-esteem, as we will soon see. But for the company managers, two years of war, interdiction of trade with the Spanish, hostilities with the Indians over a vast and thinly settled area proved financially disastrous for the new French company. To prevent the French shareholders from discovering the true affairs of the company the operators in Louisiana attempted to squeeze the colonists by greatly increasing the price of slaves and greatly depressing the price they would pay for harvests for export. The entire scheme collapsed and the circulating medium of the colony was worthless. The effects left the colony impoverished and prostrate. For a while, the Mississippi Bubble would be used as a cautionary tale. About 60 years later, the state of Georgia and northern land speculators would engineer a similar bubble with land around the Mississippi’s tributary, the Yazoo. But that bubble is for another essay as well. Outrages like this of course are never forgotten. The weakened Natchez were unable to retaliate for the time being. But this was not the end of the troubles that 1723 would bring. The Chickasaws began harassing the settlers on St. Catharine. And hostilities seemed all about. Even the Spanish were encroaching from the West. And then on September 11 an immense hurricane descended on the colony. Ships were lifted from the water and deposited on land. In New Orleans the hospital and church were levelled. Settlements were wrecked at Mobile, Biloxi and Natchez. And the rice harvest was destroyed. Because of the financial collapse in France owing to the Mississippi Bubble’s failure, communications and supplies from France ceased. The colonists were facing famine. Then the troops began to revolt. The garrison at Fort Toulouse deserted. A company of Swiss troops sent to the Mississippi for reinforcement mutinied and sent the vessel to Charleston. Despite this all, the settlers survived for another year. The following years were quietly prosperous. Trade with the settlements of Upper Louisiana grew, and agriculture flourished. In the north hostilities occasionally broke out, incited by the Spanish, and once a settlement was lost in the area where the Missouri tribes killed the Spanish agents during their sleep. In the fall of 1726 Bienville was recalled. For the next several years the colony quietly grew and prospered. Missionaries were sent from France to convert the natives. Even Ursaline nuns were sent. By 1728 the results of the Mississippi Company were evident. Agriculture was flourishing. The company had imported 1,800 slaves and 2,500 indentured servants from France. New Orleans was a large commercial port. “Notwithstanding all the signs of restless impatience on the part of the Indian tribes, the French officers and agents took no prudent steps to soothe their hostile feelings, or to quiet their jealous apprehensions. The Indian plainly saw the rapid strides of ambition, which sought to possess their entire country, and which must ultimately, if not arrested, prove the destruction of their nation, or their expulsion from the land of their fathers. On the other hand, the French appeared to view the Indians as beings without rights, whom they might strip of their lands and homes at pleasure. Every aggression on the part of the French only served to rouse up the slumbering vengeance of the savage, and to impress upon him more firmly the necessity of revenge, and the maintenance of his rights and his liberty. The impatience with which the Indian beheld his insolent oppressor, and the destroyer of his peace, was but little calculated to cause him to conciliate the unwelcome guests. Such were the feelings mutually existing between the French and the Natchez Indians. “The French, influenced by mercenary motives, had no forbearance for what they considered insolence in the Indian. Hence they became arrogant, domineering, and unjust in their demands, and dealt with them in no measured harshness. Trivial offenses and depredations were punished with extreme rigor upon the savage; but his demands for justice against the white man were disregarded, and revenge was left to rankle in his breast. Above all, the commandant at Fort Rosalie, M. Chopart, had long been obnoxious to the Natchez chiefs, and he, in turn, took pleasure in making them feel his power when opportunity offered for harassing them. While the company was again planning a mineral surveying expedition west, the Chicasaws conceived a plan to exterminate the French. The Natchez were drawn in as were Choctaws and the Yazoo. But the plan never came to fruition because the Natchez decided to carry off a massacre on their own. Chopart had been particularly arrogant that summer, requiring one village of Natchez to move in order to establish a French plantation. The Natchez seethed against the command and decided to eliminate the entire colony. Bundles of reeds were sent by warriors to each village and the Natchez’s confederates. The number of reeds indicated the number of days before the attack. Although the settlers began to see signs of an upcoming disaster, Chopart’s contempt for the Natchez was so great that he was unable to believe the Natchez would attack. The Natchez continued to have commercial dealings with the settlers up to the last, in a ghastly reversal of the roles that Bienville had played before his outrage. The garrison was lulled into a fatal security. Two soldiers who were outside the fort at the time of the attack escaped to inform the capital. For a while New Orleans and the entire territory of New France was affixed in stunned terror. The shock of the attack and the horror of the brutality became a central reality to them. But, of course, it goes without saying that the French did not permit the Natchez to escape. In fact the French began a war of extermination. Bienville, whose particular genius in this regard was evidently admired, was invited back to help in the slaughter. That he failed to exterminate every last one was a grievous blow to him, and he surrendered his command in dejection. He had, however, done quite enough when all was said and done.